There is something happening every Sunday that is nothing short of amazing. Quietly, for over 40 weeks, an average of about 40 Catholics are showing the rest of Guam, if not the world, how to change things. There are all sorts of marches and protests and demonstrations for this or that cause. But most of them are for a day, at most a week, or maybe just an annual event. The Catholics who have picketed in front of the Cathedral from 9:00am to 9:45am for over 40 weeks straight with only a break for Christmas and Easter are unique. There is no precedent for such a sustained effort. In fact, when the evidence against Archbishop Anthony S. Apuron had mounted to the point where there were calls for public demonstrations, I had opposed it. I knew that once a public demonstration started it would have to be sustained until the objective was achieved or else the disappearance of the demonstration would be seen as a victory for the opposition. And I simply did not believe (at the time) that there was the commitment to sustain what I knew would be a very long battle. The public protests against Apuron started with short stabs. There were several efforts: a group prayed in front of the chancery for awhile, there was a motorcade at one point, there was a Marine Corp. Drive "wave" once, there was a large prayer meeting in front of the Cathedral, and there were a couple of marches to the chancery. However, it was the picket in front of the Cathedral every Sunday during the time of what is still "Archbishop Apuron's Mass" (he is still officially the Archbishop of Agana in name), that has grown into the consistent, sustained, and effective event that has provided the steady thump of the "tell-tale heart" beneath Apuron's bedroom floor. The credit for this certainly goes to the few people who banded together and committed to fight to the end. Together they invited others and the numbers grew to about 40 regular fighters with the numbers jumping to as high as 100 plus at times. The choice of time and place is no mistake and in fact, the TIME and PLACE is the very core of the message. Our church was violated by the man who was consecrated to shepherd it. The Cathedral is "his" church - literally his cathedra, the seat of authority, and the 930am Mass is "his" Mass, the "archbishop's Mass." True, he has not been here for most of the weeks of the picket, but it doesn't matter. Apuron still retains the title "Archbishop of Agana" and the 9:30am was the occasion of his one weekly public act. The picketers do not picket the Mass. 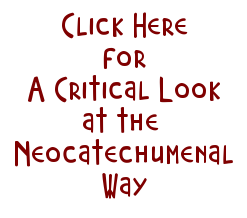 The picketers picket the title "archbishop" in front of Apuron's name. This is why the picket does not end at 9:30 but presses on past the threshold of that particular moment and on until 9:45. This is also why the picket is held in front of the front entrance to the Cathedral, literally blocking the front entrance. 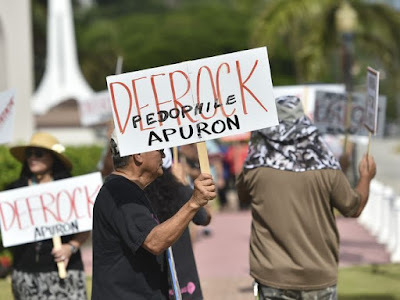 The whole message of the picket is meant to be a clear and resolute statement of "NO TO APURON," or as many of the picket signs say 'APURON OUT." Make no mistake. Apuron clearly believes he will be exonerated and will return triumphant to Guam and slay his "persecutors." And I have no doubt that he will - save for one thing: the PICKETERS. To the Vatican bureaucrats who want this all to go away, the prayerful, almost completely silent demonstration, Sunday after Sunday, is like the sound of a thousand boots of an army marching on Rome. Not only is the constant thud of the picket Sunday after Sunday unnerving because it keeps the light shining on the pestilence wrought by one of their own (a bishop), but the Vatican is well aware that the world is watching - and learning. Dioceses around the world are being shown how to speak truth to power and how to right horrible wrongs. This is not what the Vati-crats - the equivalent of the "deep state" in the Vatican - want the rest of the Catholic world to see. 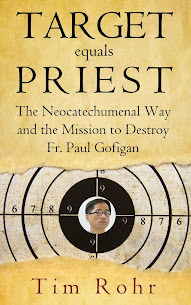 Heaven help them should Catholics in other dioceses who have suffered decades of the abuse of episcopal power learn from those Guam Catholics! And this is also a lesson for all those who complain about one thing or another, over and over, about our government, our schools, our roads, our whatever. Those Catholics in front of that Cathedral Sunday after Sunday are showing you how to do it. This is how you speak truth to power and effect change. You do it by sustained effort, resolute commitment, unwavering action. You do it by not growing weary in well-doing. You "WALK THE TALK." THE FINAL REMOVAL OF APURON AS ARCHBISHOP OF AGANA. Now is the time to press on. The world is watching. And every step of every person holding a sign in front of the Agana Cathedral between 9:00am and 9:45am is an ever loudening pound of that "tell tale heart" beneath Apuron's bedroom floor and an ever loudening knock at the Vatican's door. MARCH ON. We should all support the picket. 45 minutes once a week—let's do it! Returning Apuron to Guam would start a civil war inside Church. The civil war in the church started wit "Brother" Toni and the neonats. The civil war continues unti Apuron is removed andefocked. Until that happens don't cross the picket line at the 9:30 Mass. Even better, get involved and picket this Sunday. Apuron is the head of the snake. You cut the head off, and the rest of the snake withers and dies. Apuron Out! Defrock Apuron! March on! Cut off the tail(read Guam)and the snake's head survives! Come to Rome my children and the prophet will tell you how you have been specially elected to suffer and be abandoned!